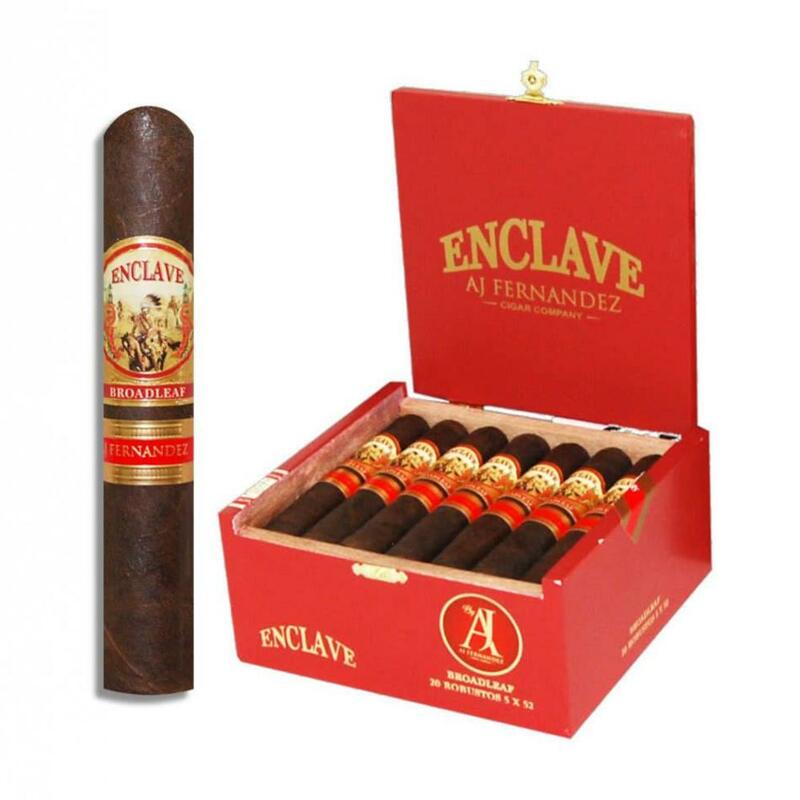 The AJ Fernandez Enclave Broadleaf Robusto is the newest edition to the Enclave line of cigars that was originally developed by AJ and his father, Ismael. This new blend again focuses on flavor, but adds a touch of spice that has become popular among cigar enthusiasts these days. The Enclave Broadleaf features Nicaraguan fillers and, for the first time, employs a Connecticut Broadleaf wrapper for a sweet and spicy finish with notes of earth, cedar, and black pepper. A very welcome addition to the already stellar portfolio of cigars that AJ has created.